This is the story of how one man came to accept his gradually deteriorating eyesight and eventual sight impairment, despite his fear, bitterness and rage. At first David Lucas is terrified of being perceived as a blind man because he believes that society will see him negatively - it'll just affect too much of his life. He's outraged when a guide dog is first suggested to him, but he is eventually persuaded to take one on... and his life changes instantly. Suddenly, he comes out of the visually impaired closet in the most public of ways, although his path is often strewn with obstacles of all kinds - physical, practical and psychological. This is the story of how David and his guide dog, in partnership, overcame all that life threw at them, so as to be able to step out into a new, much brighter future. The book includes useful information for people facing similar challenges. All kinds of services and products are described and full contact details provided. There is also a postscript which details research into new technologies and other signs of hope for the future. The foreword, by Bernard O'Donoghue from Oxford University, highlights just how special this book is. It is inspirational not only for people directly suffering from any eyesight problems, but also for their relatives and friends - as well as for anybody who likes a 'shaggy dog story'! (Actually, the guide dog in question is rather sleek and well-groomed.) "David tells a refreshingly honest story of how life is for him, which gives an insight into the lives of all visually impaired people. His strength and sense of humour shine through on every page." "David's writing can be sometimes funny, sometimes shocking and he shows no signs of being held back by political correctness." 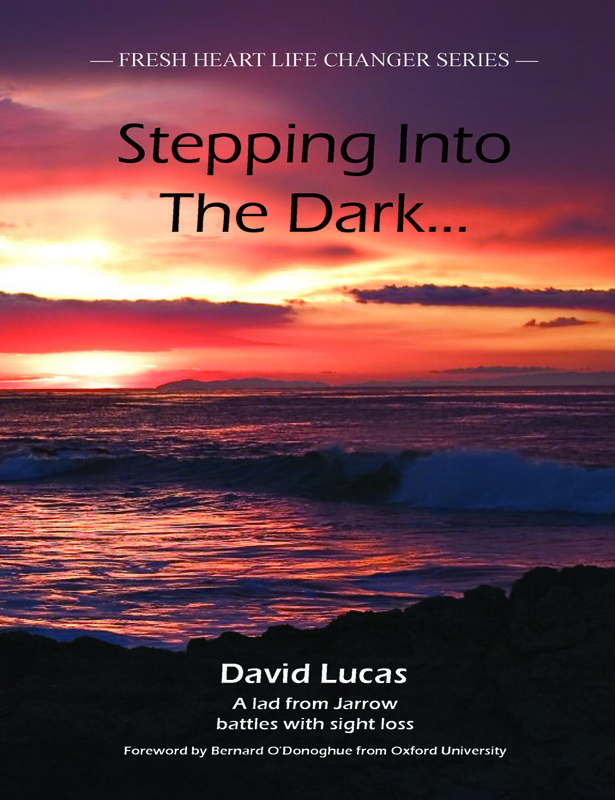 "It's easy to empathise with David's story as we all have to struggle with what life throws at us. This book is informative, educational, funny and, above all, hard to put down.